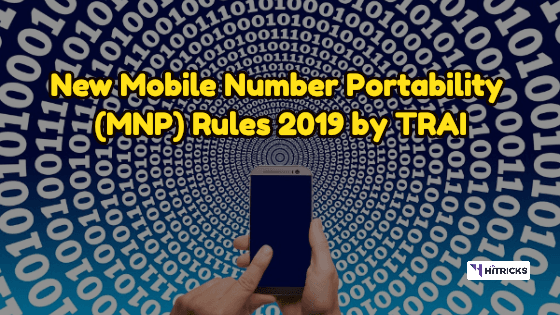 The Telecom Regulatory Authority of India (TRAI) has announced new rules to make the Mobile Number Portability (MNP) process simpler and faster. This move comes soon after announcing the new Cable and DTH Rules. MNP allows a user to switch from one mobile network operator to another keeping their mobile number unchanged. 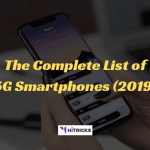 For example, if you don’t like the network coverage or internet speed of Airtel, then you can easily switch, or port to a different operator like Vodafone and your mobile number will remain the same. TRAI has officially announced the new rule on December 13th, 2018 on their website, and gave six months for all Telecom Operators to abide by the new regulations. In today’s article, I will discuss the new MNP rules. What are the new MNP rules and what has changed? How will it benefit the consumer? How to port your number? The mobile number portability was a time taking process. Whenever you want to port or switch to a different operator, your existing operators generates you a UPC (Unique Porting Code) which you takes to the new operator. The UPC was valid for 15 days from the time of creation. The new operator further verifies your information and sends the porting request to mobile number portability service like Interconnection telecom solution which acts as a mediator and has all the rights. At last after all the verification you get your number ported to a different operator. Previously when you initiate the porting process with a new operator, everything has to be done within 7 Days but now rules have changed which made the process even faster. Let’s check out what are the new rules. The new rules will make the Porting process faster, and you don’t have to wait seven days to get ported out to a new operator. According to the new MNP rules by TRAI, the Unique Porting Code you get from your existing operator will now be valid for four days only; previously it was valid for 15 Days. So when you generate the UPC, then you have to give it to your new operator and initiate the porting process within four days. Once your new operator initiates your porting request, then everything has to be done within 36 hours. So your current operator has to accept your porting request, and all the verification will be done within two days. This saves you five days! So instead of 7 days, according to the new rule, you can port out to a different operator within two days. From 2 days we mean two working or business days which doesn’t include Sunday and public holidays. Also, the new rule is not applicable in a few states. If you stay in Assam, Jammu & Kashmir, and northeastern states, then the new law is not applicable here. You have to wait for seven days for porting your number. Another important thing is when you want to port your number of one state to a network operator in a different state, the UPC will be valid for seven days, and all the process will take four working days. Porting your number to a different operator is pretty easy, but there are a few things you must know. Your current number must be active for at least 90 days before you can port out. If you are a postpaid user, then your bill must be clear. That’s it! Now let’s move forward to the porting process. The very first thing you have to do is open your messaging app and SMS “PORT <Space> Mobile number” and send it to 1900. After a few minutes, you will receive a UPC (Unique porting code) from your operator. If you don’t receive a code, then you can call on 1900 (Only for some states where you have to verify your identity to get a UPC). You now have to visit the local retail shop or authorized store of your new operator and provide the UPC along with an ID proof such as Aadhar Card, after which they will initiate the porting request and provide you with a new Sim card. You can continue using the old sim card, once the network goes off you can insert the new sim card and start using it. Here are some frequently asked questions for you! Q: If I am a prepaid telecom user and have some balance in my account will it get carried forward after I switch to a different operator? Ans: No, there is no change in the rule about balance in your account. Just like the old rule, you have to spend your balance before porting because it will not get carried forward to the new operator. Q: I want to port my number, and I have generated a UPC, Can an operator reject my porting request? Ans: No an operator cannot reject your porting request without your consent. If they do so without a valid reason, then they have to pay a fine of Rs 10,000. Q: Recently I ported my number to Jio, and now I want to port again to Airtel, can I do so? Ans: Once you port your number you cannot port within 90 days. So, Yes you can port your number again but after 90 days. So that’s all about the new Mobile number Portability rules set by TRAI. I hope this article was helpful for you to understand the new rule better. Thank you for reading this post. 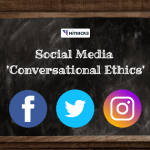 Do share this post with your friends and let them know what has changed. Use the floating social share buttons below, or on the left, if you are from a desktop. If you still have some query feel free to let us know in the comments below. I will be happy to help you out.